Netherlands: On March 20 the far right FvD has won regional elections, the election results also play a role on a national level, as regioal parliaments vote for the members of the senat. With 13 seats, the FvD is now the biggest party in the 75 seats strong Dutch senate. The far right PVV of Geert Wilders will have seats in the new senate. 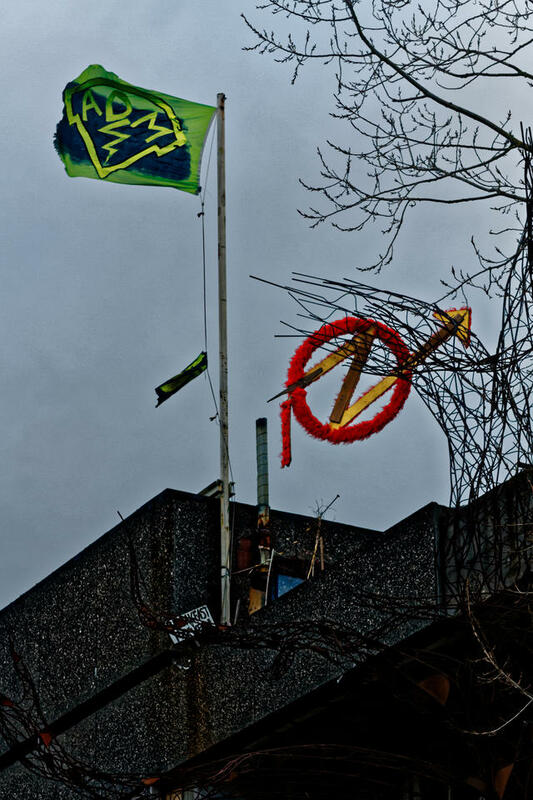 Zeist, Netherlands: Around 16:30 yesterday afternoon, the eviction at Krakelingenweg 19 came to an end. 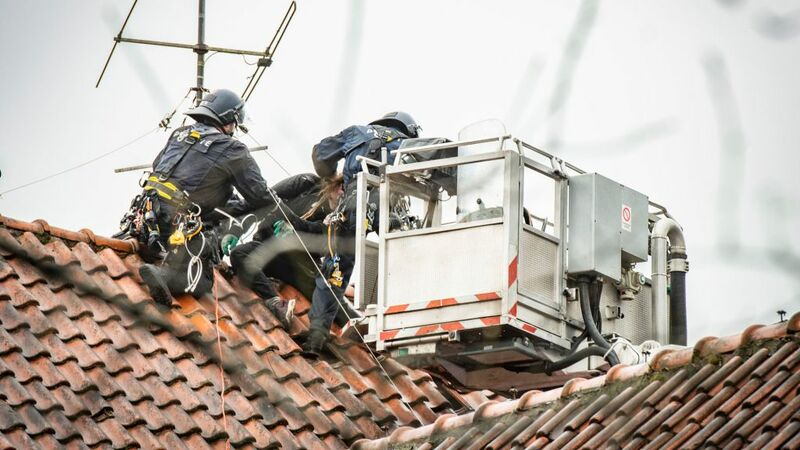 From 8:00 in the morning onward the police, BraTra, fire brigade, together with some cherry pickers were busy getting people out of the house (including a safe! ), the basement, the roof, and of tree houses built on the terrain. More than 40.000 people took the streets of Amsterdam during the climate march on Sunday. 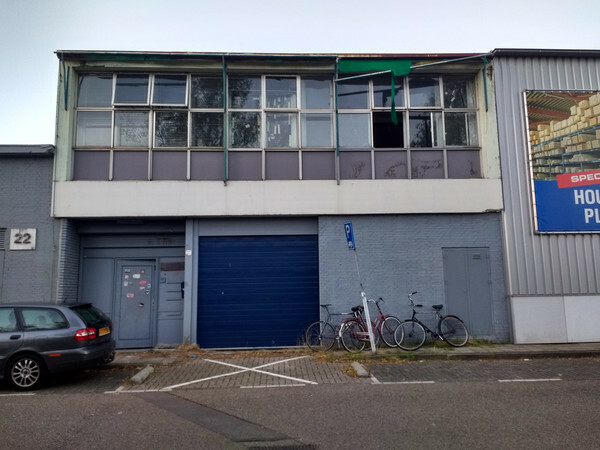 Amsterdam: On Friday the first of February, the Mobiele Eenheid left Gedempt Hamerkanaal 86 and the adjoining Spijkerkade 2 following an eviction ruling from civil court proceedings. Six people have been made homeless and Amsterdam has lost yet another non-commercial social space. 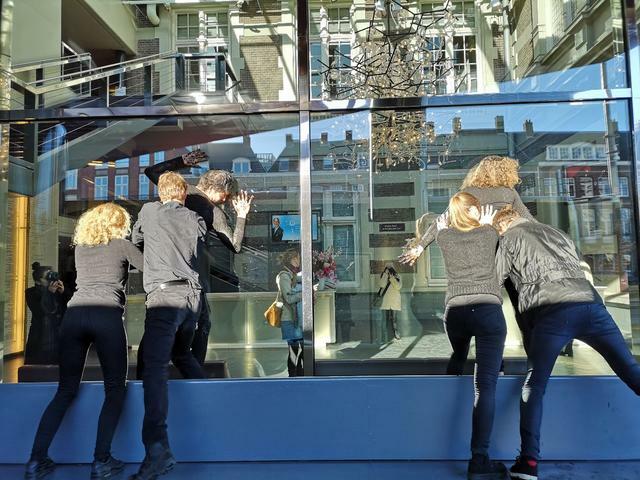 Amsterdam, January 20, 2019 – Following their successful campaign to get the Van Gogh Museum to end its 18-year sponsorship deal with oil and gas company Shell last year, today artists from Fossil Free Culture NL staged their first performance of 2019 to launch their new project demanding a Fossil Free Museumplein, Amsterdam. On January 5th, Anna was on flight KL0565 from Amsterdam to Nairobi. The Dutch state used the same flight to deport Sudanese refugee Ezzedine Mehimmid. Here’s what Anna reported. 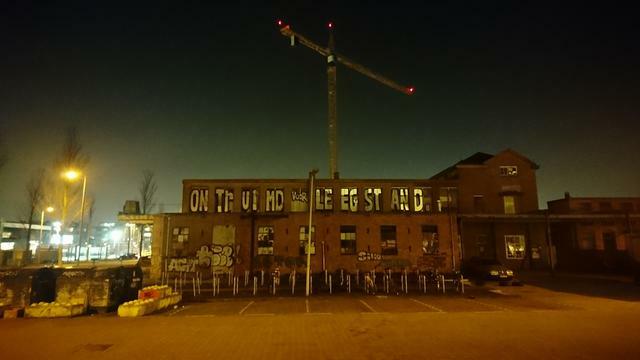 Netherlands: The ADM squat in Amsterdam is in immediate threat of eviction. 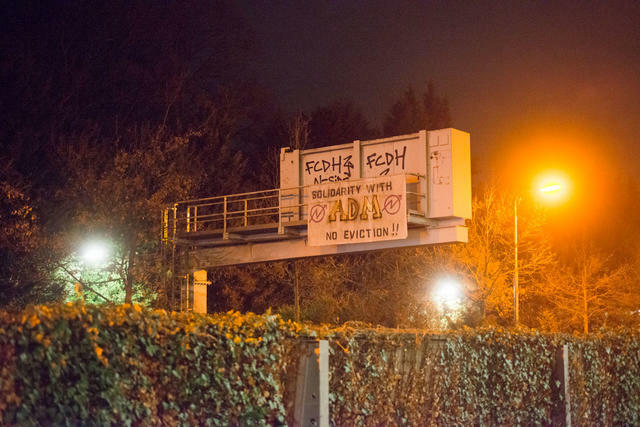 Activists did a banner drop in solidarity with ADM on the N44 highway between The Hague and Leiden (Wassenaar). #Amsterdam: #ADM is not evicted, it will stay our home port. 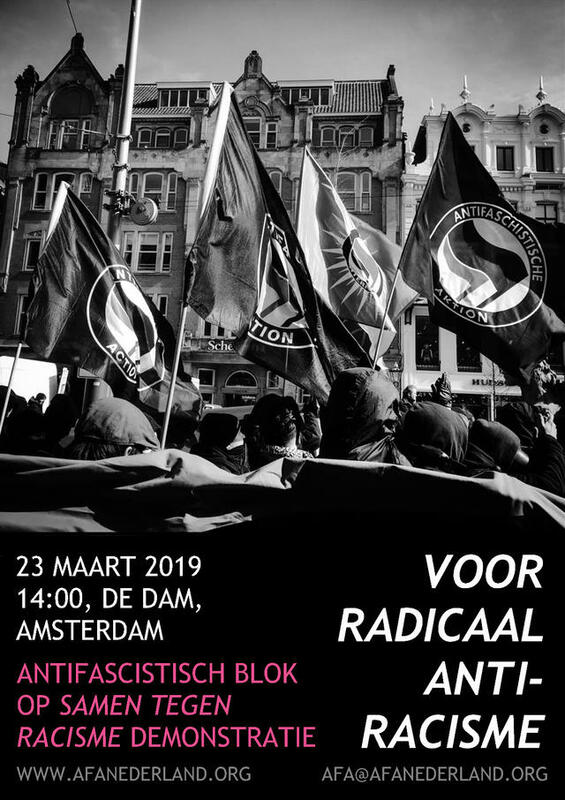 Amsterdam: According to the verdict of the Council of State of 25 june 2018, the ADM would have to be evicted from the 25 of December 2018. The idea that a bunch of property mafioso have more rights to the ADM terrain then the people living here for 21 yeas is ridiculous. 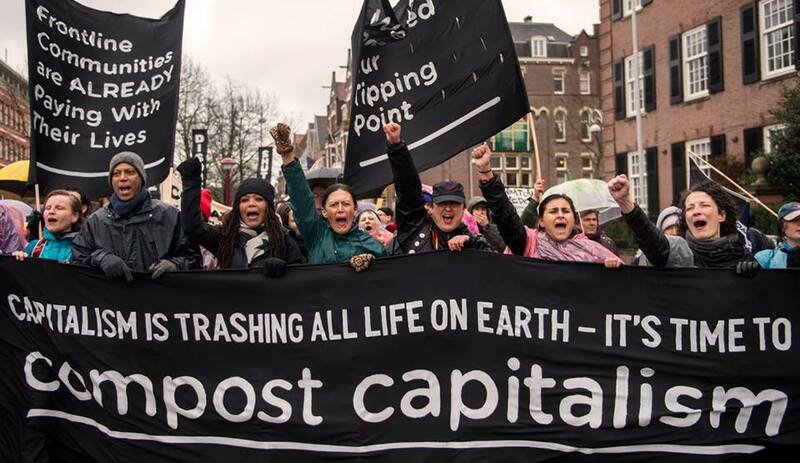 Continue reading #Amsterdam: #ADM is not evicted, it will stay our home port.